Hey there! Welcome to my website! Thank you so much for coming to check it out and wanted to share a little bit more about who I am and what I love to do! I grew up in Denver, Colorado and I love anything to do with adventure, outdoors, and story telling. I’ve been extremely fortunate to spend the past 11 years (since 2008) traveling the world with non-profit organizations, helping share and tell their stories through film and awareness. 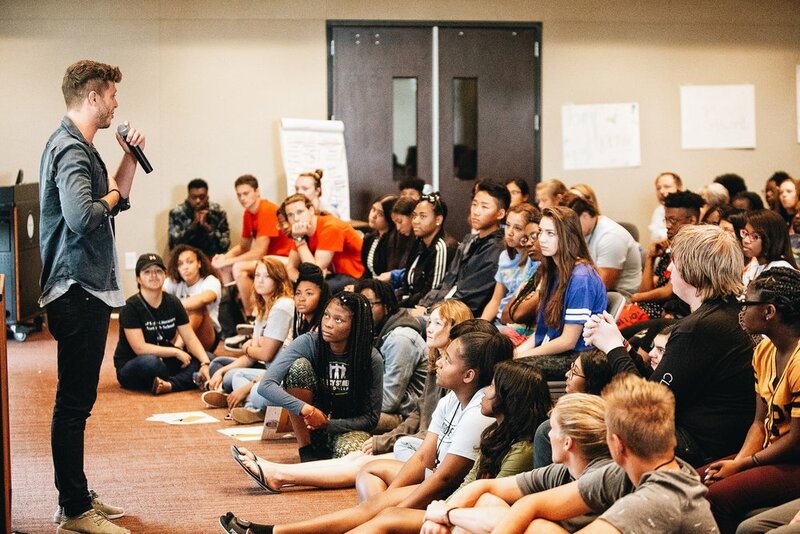 I’ve also spent that time taking hundreds of college and high school age students on trips to teach them about heart-led leadership and global community awareness. After working with hundreds of organizations in over 60 countries and countless amounts students and young adults I’ve found a few different types of projects and programs. A few being The Traveling Good, Pursuing Purpose Podcast, Mentorship Mastermind and handful of others along the way. My goal has always been to make an impact both locally and globally, internally and externally, small and big and couldn’t have dreamt in a million years it would become a such a fun adventure where I get to bring hundreds of people around the world and locally with me to help others. I do and create everything because I either couldn’t find it or didn’t have it growing up. Whether that being a mentor to look up or creative content to be inspired by or trips around the world to help others, or local events in communities that celebrate the Good. Each and every project has a fingerprint of my hope, my faith, my why, and my love for others. Thanks again for checking out my site and hope to hear from you soon!